Now that most days are above freezing and the mud is drying up, the cadence of the farm has returned to its usual pace. 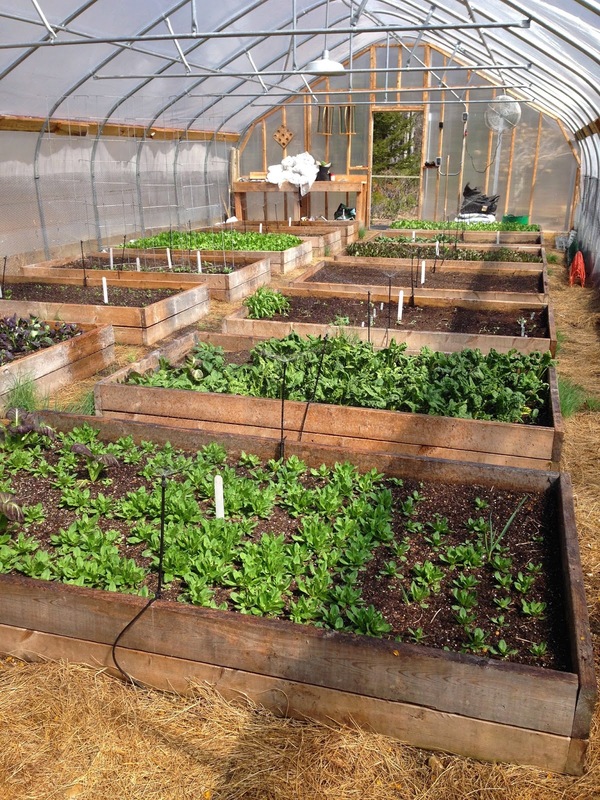 The hoop house is filled with winter/spring vegetables and all the beds have been planted. The garlic planted before winter is sending out shoots. The wood piles are unfrozen and woodlot management is now easier. This kind of flexibility means that the infrastructure work for the upcoming growing seasons can finally be done. I’ve installed the hoses and irrigation tools we’ll need for Summer. On the farm we use over 600 feet of hoses to bring water to the plants and animals. I’ve done prosaic work like filling every tire on all farm equipment - mowers, wagons, wheelbarrows, pressure washer etc. That’s a lot of tires. April is cider bottling month and now that we have the infrastructure to carbonate and bottle sediment -free cider, we’re busy moving the cider from fermenters to Cornelius kegs inside the farm’s walk-in produce storage refrigerator. It required significant plumbing expertise to ensure the CO2 tank is connected without leaking to 4 carbonation kegs and a bottling tool. We’ll bottle the first 15 cases on the weekend of April 18, then let it bottle age for another 3 months before selling it, now that Unity Farm is a bonded winery. On Sunday night, the Great Pyrenees were barking more than usual. The warm spring weather means that animals are foraging freely every night, so I expected the usual - a coyote, a fisher cat, or raccoons. I frequently check on the animals in the middle of the night when the barking alarm goes off. At 3am, I opened the front door and knew in an instant what had happened. The dogs had been playing with a skunk. Needless to say, I’m not going to hug them for a few days. Kathy is busy preparing new hives. A full 10 frame deep hive can weigh 90 pounds and she often works with the bees while I’m working or traveling. We’re shifting to 8 frame medium hives, which weigh less than 50 pounds when full. We'll finally have a sunny weekend ahead so Kathy will do a deep dive in the hives, ensuring the bees are well fed and healthy. It's great to be outside again without a winter coat. Soon the trees will leaf out and we'll plant our permaculture trees - pawpaw and chestnut - as part of our plan to develop Unity Farm for the next generation of people and animals living there.